People definitely have some ideas about the upcoming royal wedding, and they're willing to put money on it. We recently published all the things we know about the upcoming royal wedding—but there are still countless details shrouded in mystery, and people have taken it upon themselves to place bets on anything and everything from the weather to whether or not Prince William will wear a wig. We share some of the weird and wonderful royal wedding wagers, the odds and where you can place your bets below. 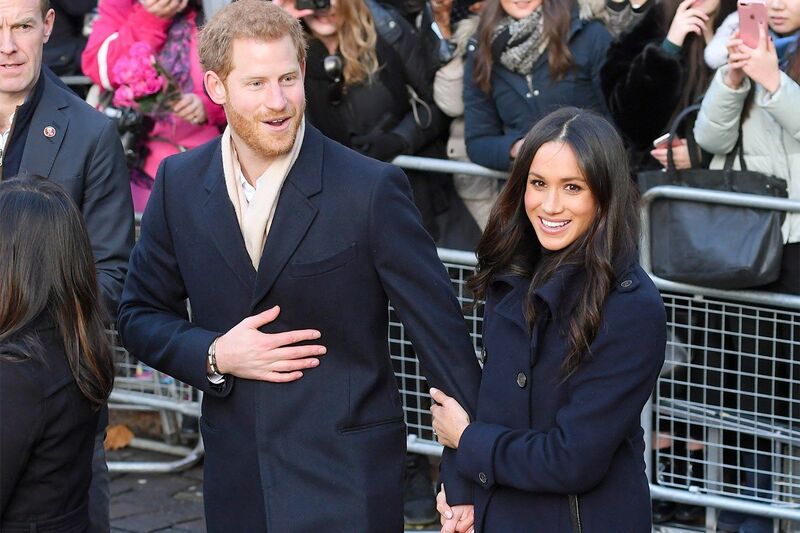 The question of who will design Meghan Markle’s wedding dress has had the fashion world abuzz since she and Prince Harry announced their engagement. If you want to put your money where your mouth is, Irish bookmaker Paddy Power is taking bets on which designer will make the cut. In April, the bet had 2-1 odds on Ralph & Russo—who designed Meghan’s sheer black dress for her engagement photos—9-4 on Roland Mouret and Stewart Parvin,6-1 on Erdem, 7-1 on Victoria Beckham and 8-1 on Alexander McQueen, the fashion house that designed the Duchess of Cambridge’s legendary wedding gown. We already have some knowledge of who isn’t invited—like the Obamas and Donald Trump—but the royal family has been hush-hush about who’s on the guest list for the May 19 celebration. Paddy Power has a “who will attend the wedding ceremony” category where you can place your bets on who’s invited, including Elton John (1-50 odds), Justin Trudeau (15-2 odds), Serena Williams (1-7 odds) and more. What about Prince William’s hair? We can’t say we’ve given the Duke of Cambridge’s hair much thought—ever—but how Prince William will wear his hair on the big day is definitely one of the more fun categories that people are betting on. Currently, London-based bookmaker William Hill has 1-2 odds on a buzz cut, 6-4 on a shaved head, 16-1 on a hair transplant and 100-1 on a wig. Obviously. But from where? Another London-based bookmaker, Ladbrokes, is taking bets on what kind of wine will be served at the royal wedding. Currently, the odds are 1-3 on Californian wine and 5-4 that British wine will also appear.